Chakra balancing is the very basic and necessary requirement for every spiritual enthusiast to perform daily. You need to keep your chakras balanced inorder to keep your life in balance. Chakra balancing meditation can be done by beginners as well as advanced spiritualists. You need not attain a certain mastery and then do them. This meditation will help you to attain Spiritual Mastery. There is no point that you can reach, and then say "okay Im done" in meditation. You have to keep on doing. And the more you practice, the more mastery you achieve. - This meditation will balance your chakras, and in return keep your mind, body and soul balanced. Which in turn will keep your life balanced. And keep you on positive thinking mindset. - Chakra balancing meditation will keep you away from negative energies, and negative people. When you have all chakras balanced, your aura becomes strong and bright. And so it will attract people who have these kind of auras. And aura becomes strong only with positive thinking. - A balanced chakra system gives you an expanded aura. Also it gives you a strong aura. A strong and thick aura cover protects you against all negativity from the outside world. - Chakra balancing will also help you to awaken your kundalini energy and rise it. Kundalini energy is the inbuilt power reserve inside you. It gets tapped, when you start working upon your chakras and meditation. - To prepare for this meditation you dont need anything special, you just need a nice and comfortable place. Where you will not be disturbed for the next few minutes when you practice the meditation. - You must be ready, with all your phone on silent. Ask someone to attend to doorbell or calls while you are in your session. - Go to the loo, drink enough water. Be sure you are full, your stomach should not start churning during meditation. - Inform your family not to disturb you for next n minutes. - This meditation is great all by itself. But if you want to add to enhance the meditation benefits, then you can do the following. - 7 Chakra crystals, 7 chakra colored candles, or anything similar that matches the seven chakras can be worn to help you with this meditation. This should not be taken the other way, that having 7 chakra crystals and 7 chakra candles will only help you to do this meditation. As I said before this meditation is great all by itself. But you can ADD enhancements to better your experience. 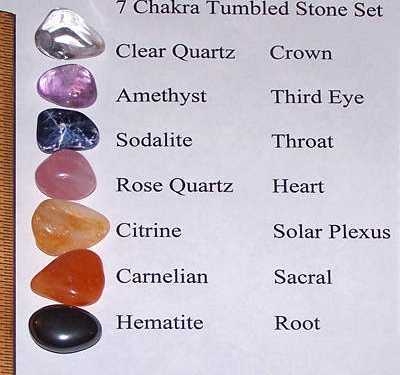 - You can also add aroma oils to help you during chakra meditations. Things to keep in mind: you might not be able to see clearly in the beginning, but still try to imagine or visualize it the way its being told here. Once you do this regularly, you will have experiences based on what's said here. Remember it might take you months to master to actually "see" how the actual chakras appear and work. - Take deep breaths and slowly close your eyes. And keep your mind focused on your breath. Keep breathing normally. Once you are relaxed then slowly begin the technique. If you are not relaxed then slowly relax your body from your top of the head to the tip of your toes. - Then first start focusing on your Muladhara Chakra(root chakra), this chakra is red colored and when balanced it will glow with bright red color. You may or may not see the petals. It usually is said to have four petals. You might not see the color as pure red before balancing as it needs to be balanced. See that a bright white light from above enter's into your body through your crown, and goes into your Muladhara chakra. This light starts clearing the chakra, and you'll see any impurities lying in it coming out as black tar or smoke, muddy color, dirty liquid etc. Keep imagining that white light till the muladhara chakra starts getting clear and color red only remains. In the beginning you might not be able to see the colors clearly or at all. Its doesnt mean you are not doing it right. You are doing it perfectly, but just that clear vision through mind's eye isn't developed. In that case try focugin the white light for about 7 minutes on each chakra. And then move on to next chakra. At times you might notice that a certain chakra needs only a little energy, whereas other chakra might take a long time to balance. Its just because not every chakra is imbalanced, and not every chakra has equal amount of impurities. Also duration depends from person to person. - Swadhisthan Chakra, has six petals. And as I said earlier you may or may not see petals. That doesn't mean that you are doing it wrong or inapropriate way. It just appears different to different people. For this chakra also see that a white light is entering into it and balancing it. Slowly it will start shining with bright orange color. - Manipura Chakra has ten petals. And it has bright yellow color. If a chakra is over active then it will appear brighter then the other chakras. Whatever, the white light will balance excess too. So continue your procedure with all chakras Anhata, Vishuddhi, Agna, Sahastrar Chakras. The Anhata has twelve petals and is green colored, Vishuddhi Chakra has sixteen petals and is Pale Blue colored/ turquoise blue colored. Agna Chakra has two petals and its Indigo colored and Sahastrar has thousand petals which is sometimes said to have violet or white colors. Both describe something that makes sense in its own way. So let it be that way. You may consider whichever version you like. Note - I have written several benefits of chakra balancing, they apply when all chakras are balanced. Chakras can go imbalanced with a negative thought and become balanced again when you think positive thoughts. So in short the balance and imbalance keep on happening continuously. But that should not make you not practice this meditation. This meditation itself will help you to keep your chakras balanced for longer time. The more you practice, the more your chakras will become powerful and stay balanced for longer time. Did you like this post? Then you might surely like this post, that can help you to balance your finances with Chakras. Do you balance your chakras regularly, or you are knowing this info for the first time? do let me know in comments if you have any questions. Also do share your experiences after practicing this meditation! Love you, see you again next time with another mind-blowing informational post. Take care. If you'd like to have this Chakra Balancing Meditation in MP3 for $4.99 then lemme know.